A group of dedicated living-historians, who share a love of history and continually strive to educate the general public about the life and times of the common sailor and soldier of several eras in our history as accurately as possible. This organization recreates the Revolutionary War and War of 1812 for members of the public through encampments and battlefield reenactments. 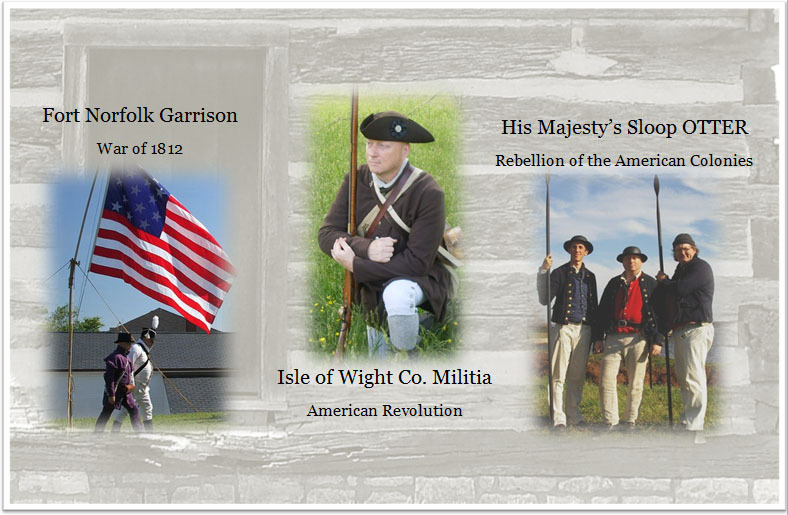 We represent a sailor of the Royal Navy and a militiaman from southeastern Virginia during the American Revolution, and portray a militiaman of the 2nd Va. Regiment of militia as well as a soldier in the 20th U.S. Regiment of infantry during the War of 1812. Use the navigation links at the top of the page for more information concering each of our impressions.